A bum-free bench that doubles up as a defensive barrier, with anti-skate elements. 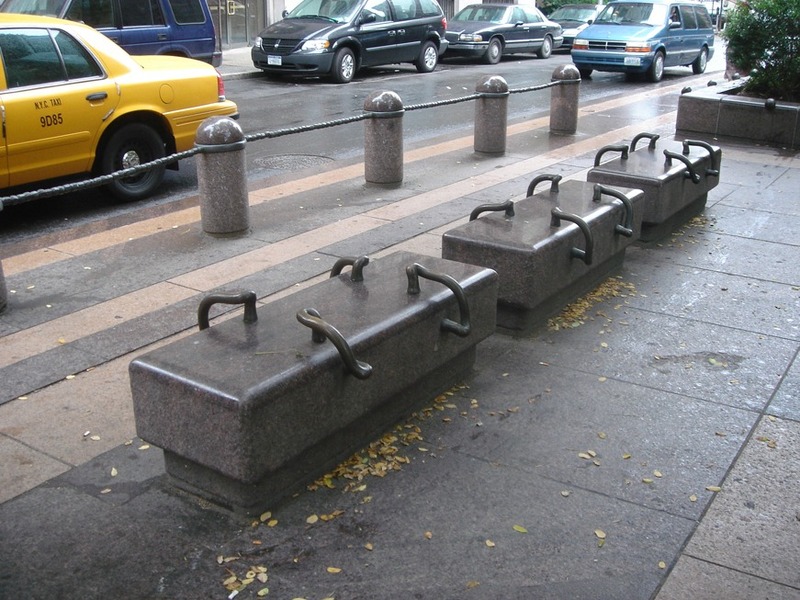 Designed by the NY architect firm Rogers Marvel, a company responsible for many of the new defensive design features in downtown Manhattan. The sculptural street barrier is also part of the design as is the anti-skate wall in the top corner.